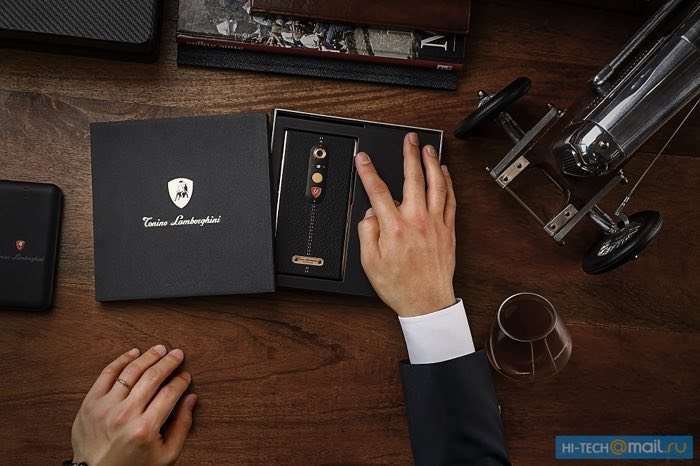 Lamborghini is launching a new Android smartphone, the Lamborghini ALPHA ONE and the device is launching in Russia at first and will then launch in more countries. The Lamborghini ALPHA ONE will retail for 119,000 RUB which is about $2,110 at the current exchange rate, it is also headed to the UK, China, the UAE and South Korea. The Lamborghini ALPHA ONE comes with a 5.5 inch display with a Quad HD resolution of 2560 x 1440 pixels and the handset is powered by a Qualcomm Snapdragon 820 processor. Other specifications on the handset will include 4GB of RAM and 64GB of built in storage, there is also a microSD card slot for extra storage and it comes with a dual SIM card slot and a 3250 mAh battery.